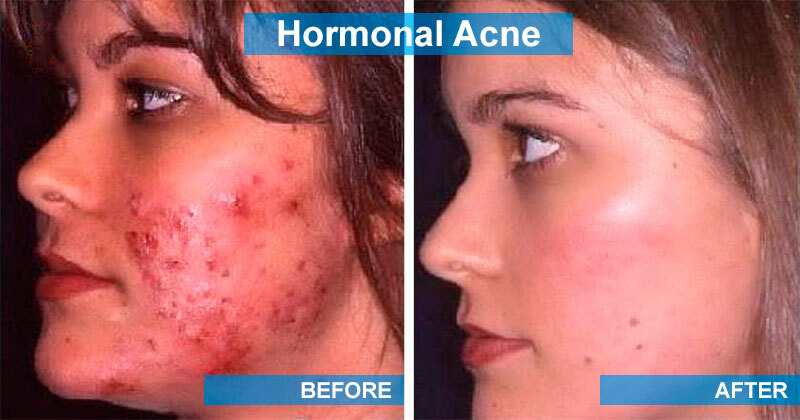 Here’s How to Get Rid of Your Hormonal Acne in the Safest, Most Efficient Way Possible! Acne caused by hormonal imbalances is extremely common, especially in women going through puberty – but in fact, in both men and women of all ages. After years and years of suffering the effects of hormonal acne, one can easily get discouraged and just give up on finding a cure. But this need not be the case, for there are a number of effective treatments available. By better understanding the causes of hormone-based acne and the array of treatment options that have worked for others, you’ll be in a better position to find the best solution to your own acne problem. Read on to learn about the causes and cures (both natural and antibiotic) for hormonal acne! 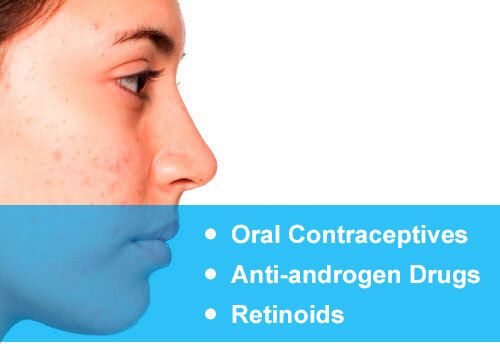 Hormonal acne during puberty typically appears on your forehead, nose, and chine (the “T Zone”). During the adult years, it usually stays mostly on the chin and lower cheeks. But either way, it’s a persistent cause of pain and irritation and can be embarrassing when it comes to your looks. Whether blackheads, whiteheads, pimples, or cysts, what is the cause of it all? What hormone causes acne, anyway? Usually, it’s testosterone or androgen that causes hormonal acne. The presence of these hormones is natural in both men and women (though in different amounts). Over-production of hormones can clog your pores and cause acne. You can click the links to get more details on what causes acne or on hormonal acne treatment, but we’ll deal briefly with the former in this section and with the latter just below. When testosterone over-stimulates your skin’s sebaceous glands, they get larger, produce too much oil, and get plugged up. Plugged pores around hair follicles then give an opportunity for acne bacteria to thrive – leading to inflammations and all the symptoms of acne. Is there a cure for hormone-caused acne? There can be, though you probably have to keep taking treatments to keep it down consistently until you reach an age when you acne will quit on its own. You’ve seen the before and after pictures. Cures do exist, and they can involve everything from drugs to herbs and vitamins. In fact, there are numerous possible approaches available to deal with hormonal acne. Over the counter, topical creams can often cure adult hormonal acne in both men and women. Stay-on applicants work better than cleansers because they keep working for hours and hours. Benzoyl peroxide is a common over the counter option. How do you cure tough cystic hormonal acne? You’ll likely need prescription antibiotics, such as retinoids. One retinoid (Differin), however, actually has recently been approved by the FDA for over-the-counter sale! To treat chin hormonal acne, you can use cleansers and (again) benzoyl peroxide on your chin and jawline. Also, for men, don’t shave too close or with a dull blade! For any acne, it helps to control symptoms and reduce hormonal imbalance if you go on a “hormonal acne diet.” Avoid sugar, dairy products, and processed carbs. Seek out omega 3 (fish fat), beta-carotene (carrots and sweet potatoes), zinc (try oysters), and selenium (oatmeal, almonds, and mushrooms). Still, want to know more about how to treat hormonal acne or how to fix its symptoms? Just continue to read below! What are the best products to use to get rid of hormonal acne? That’s the million-dollar question; but hopefully, it won’t cost quite a million dollars to buy them! Products with retinol. Retinoids are basically vitamin A, and they can fight acne by reducing skin-cell turnover rates and reducing oil production. This will help your pores not to clog and develop acne. Follow the link if you want to examine the different antibiotics for acne. Products with sulfur in them. Sulfur may not smell great, but it helps to dry up pus, pimples, and whiteheads. Benzoyl peroxide is very effective at killing off certain acne bacteria species and it can be had over the counter. Also, use cleansers with salicylic or glycolic acid in them to exfoliate your skin, and use probiotic cleansers to lower bacteria levels. You can get more information on hormonal acne treatment with other effective products OR on how to clear acne symptoms and scars, such as with blue or red light therapy, by following the provided links! You can often help reduce acne by just making lifestyle adjustments, like getting more/better sleep, reducing stress, increasing or decreasing physical activity, or eating a healthier diet. Reducing sugar intake is also a big factor. Increased vitamins and minerals, such as Vitamins A & C, B Complex, zinc, and magnesium. Herbs like holy basil, Rhodiola, gynostemma, and ashwagandha. Use milk thistle as a natural cleanser. It will not irritate your skin like some artificial cleansers may. Use licorice root for hormonal support, if not solo at least in conjunction with doctor-prescribed solutions. Take green tea, spearmint tea, or pumpkin seed oil as an anti-androgen. If you’re one of those who believes in doing everything possible “the natural way, ” you’ll be pleased to learn that these (and other) natural remedies for acne exist and have often proved themselves effective. You may have some of these natural products already at home, and others are readily available at your local supermarket. But a health food or similar store will certainly have anything you can’t find elsewhere. Essential oils can help in reducing the symptoms of acne as a topical applicant. They can also help eliminate acne scars in some cases. Applied regularly, essential oils will have a very noticeable effect on your acne. Why Use Natural Anti-acne Cures? 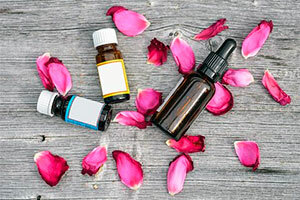 Essential oils and other natural acne treatments are often preferred because they do not irritate the skin, as many chemical topical treatments can. If you have especially sensitive skin, this is an even bigger deal to you. Tea tree oils. These offer great anti-bacterial and anti-fungal benefits. Just a couple drops on a cotton ball, and it can be two or three times more effective than drug-based topicals. And tea tree oil is now widely available, unlike in years gone by. Lavender oil. This essential oil gives you anti-microbial and antioxidant benefits. And it can heal dry or scarred skin. Clary sage (linalyl acetate) reduces skin inflammation and oil over-production. Juniper berry oil will kill bacteria and detoxify your skin. It is also known as a stress-reducer. Dietary supplements not only can help boost your overall body health, but they can also reduce acne breakouts. Any supplement could, in theory, help in some minimal way. But some of them target acne more directly and get you faster, more impressive results. Liquid zinc. Get the extra absorbable version. Zinc assists in cell division and growth. Additional zinc in your diet can speed up new cell growth, which helps reduce inflammations caused by old, dead cells around your hair follicles. Krill oil. Tiny sea crustaceans called “krill” contain highly beneficial omega-3 oils that can improve cell membrane health and alleviate inflamed, acne-ridden pores. Probiotics. While antibiotics can help, don’t overlook probiotics, These promote the growth of good gut bacteria that help you better digest food and absorb necessary nutrients. That, in turn, reduces inflammations in the skin. B Vitamin Complex. B vitamins found in B complexes help convert carbs, fats, and proteins to energy. And they also aid in proper digestion. When you have the full array of B vitamins, it has a positive effect on skin health. Calcium-magnesium blends. Magnesium helps to control hormone levels. Calcium assists the body in producing antioxidants. Both aid in cell growth. They make a great anti-acne team! Of course, there are other helpful supplements out there too, but the five we mentioned above are probably the most important among them. The most common prescription for acne is some form of the pill, usually an antibiotic. Spironolactone, tetracycline, erythromycin, and a host of other options exist. Each one of these prescription drugs works a little better on some people than on others and has different side effect risks. You definitely have to consult your doctor to help decide which one is right for you. Finding the right acne pill isn’t easy. To learn more about acne pills and all they can do for you, follow the link! 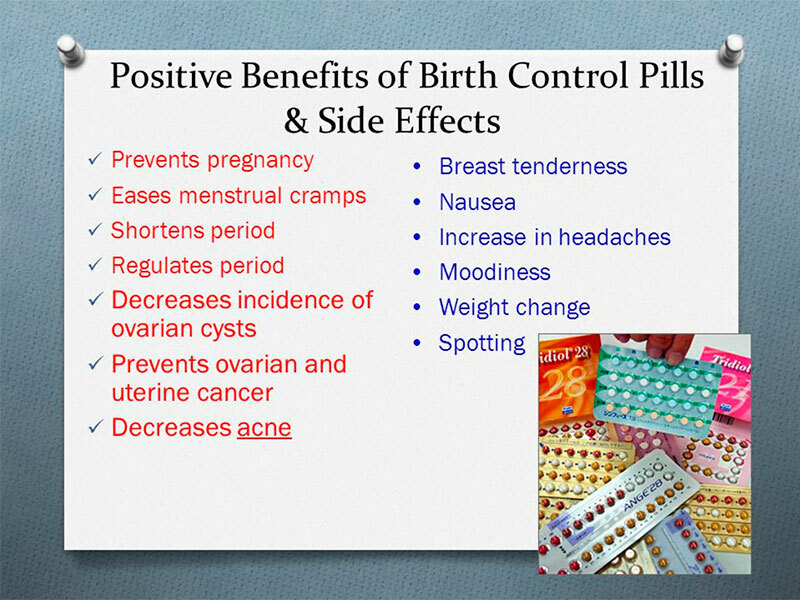 Many prescription antibiotics for hormonal acne require you take birth control pills since birth defects are among their possible side effects. However, there is more than that to the relationship between birth control pills and acne. First, your acne can flare up just after going on birth control pills and just after going off of them – so you probably want to stay on them as long as you’re taking the acne pills. 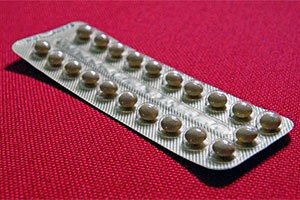 In some cases, however, (about 10% of women) birth control pills actually help clear up acne themselves. They become the superhero rather than a mere sidekick in such cases. It varies based on what ingredients are in the birth control pill and on the individual taking them, but given that birth control pills do, after all, affect hormones – it’s not too surprising they might have an effect on hormonal acne. Accutane is a very strong treatment for acne, and it’s usually prescribed only in instances where acne is severe or when other treatments have failed. What is Accutane? It’s a form of Vitamin A. It has the ability to reduce the quantity of oil that your skin’s oil glands release PLUS to help your skin renew and rejuvenate quicker. “But why don’t they just use accutane all the time, then?” you might ask. Well, because this strong drug can also have relatively strong side effects. Plus, it costs more than many other solutions. So it’s rarely gone to as a first option. Also, if you are already pregnant or are trying to become pregnant in the near future, you can’t take Accutane since it can cause birth defects. And women who take Accutane need to use birth control for sure – it’s not even optional. One alternative to Accutane, for many, is spironolactone. Spironolactone is an androgen blocker. It blocks the receptors in your skin that would absorb androgen and lowers testosterone levels in your body. This can work well against cystic hormonal and many of the “tough cases” if Accutane isn’t a good solution. As you can see, the “war on acne” is not a simple, straightforward operation. There are various causes of acne, differing degrees and types of symptoms, and numerous treatments, both natural and man-made. The more you learn about hormonal acne, its causes and cures, the more effectively you can combat it. Even if you’ve struggled with acne for years, don’t give up. There are many others who struggled as long as you have and yet ended up finally finding a solution that cleared up their skin.